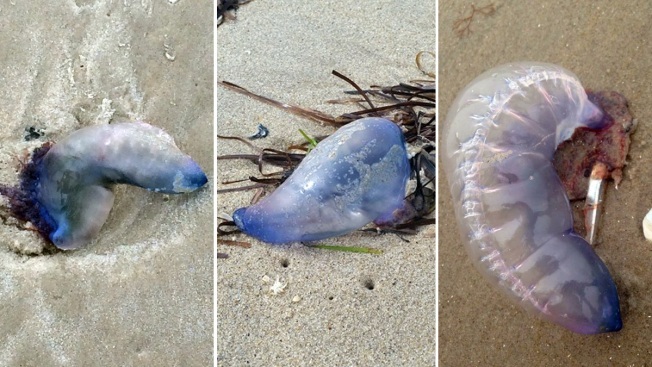 At least three more Portuguese man-of-wars washed up on tri-state beaches Tuesday, the latest in a string of sightings of the potentially deadly jellyfish-like creatures that have been washing up along the shores of New York and New Jersey in the last several weeks. One of the venomous purple creatures was found on the beach on Fire Island Tuesday morning, while another two were spotted along beaches in Ship Bottom and Margate in New Jersey. At least one of the man-of-wars, in Margate, has been removed from the sand. The findings come after a surfer noticed one of the floating terrors in the water off of Stathmere Beach. 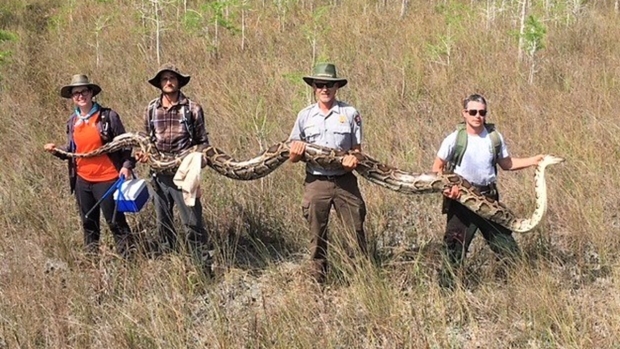 The animal was brought to shore and buried, and no one was injured. At least three or four other sightings have been reported recently -- including in Ocean City and Long Beach Island. 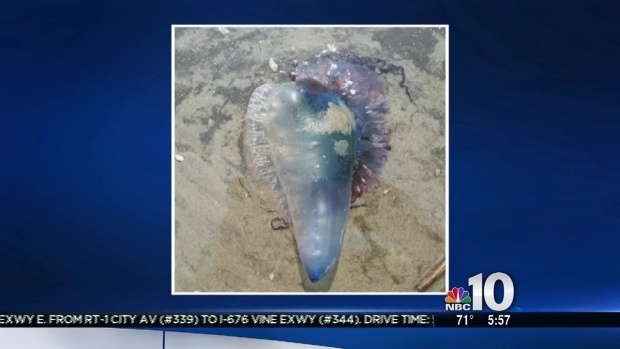 The Wildwood Beach Patrol has reported another sighting of the potentially deadly Portuguese Man o' War on the 26th Street beach. Officials say the northeast wind brings warm water from the Gulf Stream to shore, and along with it, seaweed and sea animals. Portuguese man-of-wars, which are actually colonies of specialized animals called zooids, have tentacles that grow from 10 to 30 feet long and marine biologists say their potentially deadly sting is far worse than what one would get from jellyfish normally found at the Jersey Shore. Stings from man-of-wars can cause abdominal pain, changes in pulse, chest pain, collapse, headache, muscle pain and spasms, numbness and weakness, pain in the arms or legs, a raised red spot on the skin, runny nose and watery eyes, difficulty swallowing and sweating.